One of our most popular projects here at Find-a-Builder is our bathroom renovations that we carry out throughout Brisbane. When it comes to renovations in the bathroom, there are lots of different ways to tackle tired and tatty looking fixtures and fittings. The three essentials of renovating involve the processes of renewal, restoration, and refurbishment to give your bathroom the makeover it’s been waiting for since the 90s. In today’s news article we look at some handy tips to assist the homeowner in choosing a renovation that will suit their needs, style and tastes and breathe life back into this often worn and dated area of the home. Congratulations! 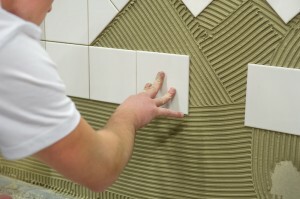 You’ve decided to refurbish your bathroom with different tiles. After all, those brown and light orange tones from the 70s really don’t do the bathroom justice in the twenty-first century. When choosing tiles, larger tiles will be generally easier and less time-consuming to keep clean since they have less grout. In the bathroom people generally choose lighter coloured tiles since they brighten up the area and can make smaller bathrooms feel more spacious. That chipboard vanity looked decent enough when it was installed 20 years ago, problem is chipped corners and waterlogged wood has rendered your bathroom vanity in need of a major overhaul. Fortunately a new vanity can completely change the look and feel of the bathroom without too much hassle or expense. Important considerations to make include the amount of storage and bench space you are likely to need. While looks are important, functionality is the key consideration to make with bathroom fixtures and fittings work for your family. Often bathrooms feel tired and dated due to availability of light in the room. Adding mirrors, or changing frosted glass sliding shower doors to just a single panelled glass door can open up the area and create more light. If you have good privacy outside your bathroom window increasing the number or size of windows will also help to renew the look and feel of your bathroom and help to make the most of the available space, without costing a fortune. To Extend or Not Extend your home?